To our ancestors. To who we are. To each other. It's the thrill of the hunt. The joy of discovery. Join us. All experience levels welcome. Events and education programs are free and open to the public. at the Leesburg Public Library, 100 E Main St, Leesburg, Florida 34748. 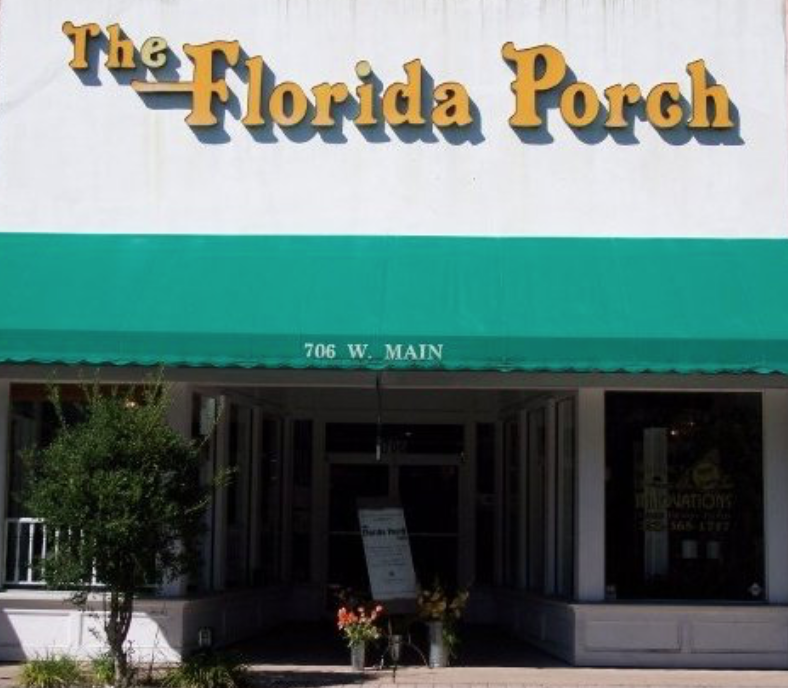 Florida Porch Cafe at 706 W Main St, Leesburg. GenChat is moving to Fridays! 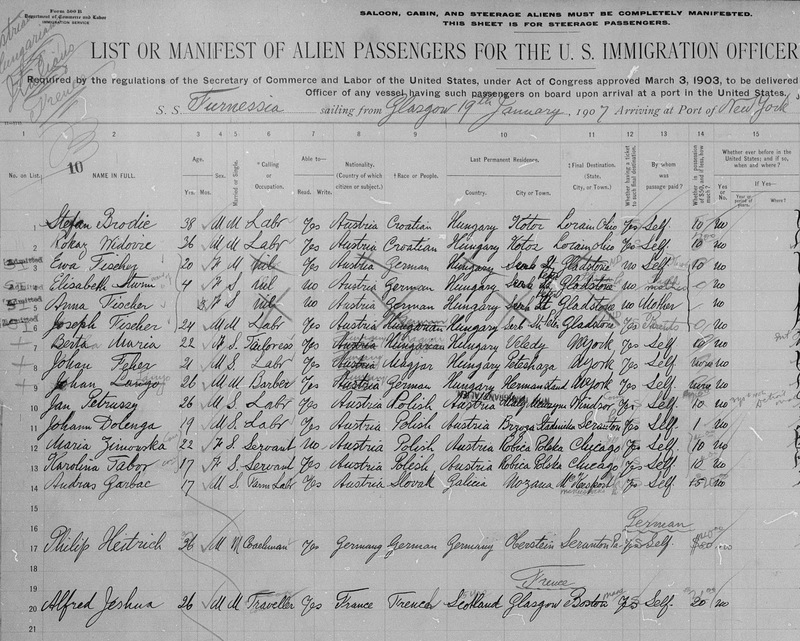 Program: "Backing Up to the Boat"
Looking for your immigrant ancestors? This comprehensive presentation will discuss not only passenger lists & immigration records, but important considerations such as time frames, ethnic backgrounds, ports of entry, and the naturalization process. It will also address indentured servants, name changes, and using family documents and oral histories in your search. Timelines, census documents, and on-line databases will also be covered. Ann Mohr Osisek is a highly experienced genealogist, speaker, and educator. She has been a genealogy instructor for the Disney Institute, the Orange County FL Adult Education Program, Seminole County Community College, Elderhostel, and the John C Campbell Folk School. She is a Past President of the Florida State Genealogical Society and the Central Florida Genealogical Society. She has also been published in the Association of Professional Genealogists (APG) Quarterly, the Federation of Genealogical Societies (FGS) Forum, and numerous genealogical and historical society journals. Program: "Write, Edit, and Publish Your Family Stories"
Want to capture and share the discoveries you're making about your family history? Not sure how to start or maybe not sure how to bring it all together? This presentation is for both beginners and advanced writers interested in writing and sharing family stories. You'll learn writing methods, editing tips, and current resources that will help you create a family history narrative. Ideas for self-publishing will also be discussed. Susan Ennis is a professional genealogist, writer, editor, and researcher based near Pittsburgh, PA. She has published in journals, magazines, and newspapers and has editorial credit for five published books. She is also the newsletter editor for the North Hills (Pittsburgh) Genealogists, a society with over 250 members. Additionally, she serves as the genealogy instructor for several public libraries in Butler County, PA and is an active member of the Association of Professional Genealogists. Program: "Restoring Your Treasured Family Photos"
Do you have family photos that are faded, ripped, spotted, stained, marked up, or have tape residue on them? This presentation will show you how they can be restored digitally. You'll learn about the importance of scanning quality, photo software, removing rips and blemishes, bringing faded images to life, and even how you can hand-colorize pictures. Program: A special AncestryDNA Double Header featuring nationalyl recognized genealogy educator and expert, Allison Ryall. 9:15 - 10:15 "Advanced Problem Solving with AncestryDNA"
10:30 - 11:45 "Working with Your AncestryDNA Matches"
If you have taken an AncestryDNA test to help further your family history research (or are considering taking one), we recommend you attend both sessions. Even if you are new to DNA, these sessions will illustrate just how helpful AncestryDNA can be to your research. We have a DNA Special Interest Group that meets monthly and discusses specific research methods in more detail. Allison Ryall is the genealogy specialist for the Orange County Library System, an instructor for Boston University's Genealogical Research online course, and a frequent presenter at genealgoical institutes and conferences throughout the country. She holds a BA in History, a BA in Russian Studies, and a MA in American and New England Studies. Program: "When Was This Photo Taken and Who Are These People?" Do you have historic photos but aren't sure who is in them? Maybe you've discovered a distant cousin who inherited a box of "old family pictures" but she doesn't know the who, when, where, and why of them? This presentation by Tom Wilcox can help! Tom will discuss tips, techniques, and some of the latest technological tools you can use to uncover the people and the stories within your historic family photos. Tom Wilcox is a genealogist who focuses on social history. As an adult services librarian at the Leesburg Public LIbrary, he frequently gives talks on unique and little known U.S. historical events and traditions that may have impacted our ancestors. We'll also hold our Annual Meeting and Elections. This usually lasts 3-5 minutes: the treasurer reads the annual financial report and the election of officers is finalized. DNA SIG (Special Interest Group): 9:15-10:15 in Meeting Room A.
WIKITREE SIG: 1:00 - 3:00m in the Library's Tech Room. WIKITREE SIG (Newbies): 9:15-10:15 in the Library's Tech Room. "Finding Your African American Ancestors, Yes You Can!" KINSEEKERS is excited to be co-hosting this speical event with the Leesburg Public Library. (This is in lieu of our November Meet-Up. *) This event is free and open to the public. Our guest speaker is Adrienne G. Whaley. A specialist in African American Studies and Family History, Adrienne brings a dynamic and engaging style to her presentations and follow-on discussions. In addition to her work on the staff of the Museum of the American Revolution in Philadelpia, she frequently presents at various history and genealogy events, to include the African American Historical and Genealogical Society (AAHGS) Conference. "When it comes to African American genealogical research, myths abound: it can't be done, the records don't exist, everybody was a slave, why would I want to know about that? But the truth is, this research CAN be done, records DO exist, and every family had a multitude of experiences, whether in slavery or in freedom. This presentation will walk attendees through the basics of African American family history research, with an emphasis on not only finding not just names, dates, and location, but on the stories that give this information meaning." * Note: The start time is 1:00, not 10:30. There are also no Special Interest Group meetings this day. October Meet-Up & 2018-2019 Kick-Off! We're kicking off our 2018-2019 season with a mini "Show and Tell" and social meet-up. Share your summer genealogy highlights. Did you visit a cemetery? Break down a brick wall? Jump into the DNA testing pool? Discover a new genealogy website or tech tool? Add a major branch to your tree? Afterwards, we'll announce some upcoming programs and events. Then it's light refreshments and social time. Mingle. Reconnect. Catch-up. Make a new member feel welcome. GENTECH SIG: Will meet the first Saturday of the month at 10:00, begining 1 Dec.
We've partnered with Internet Genealogy magazine to offer a new membership benefit! 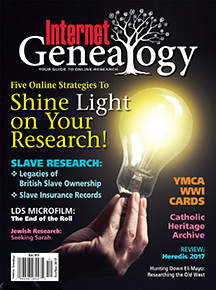 When you join KINSEEKERS, we'll present you a free issue of Internet Genealogy (a $6.95 value). Inside, you'll find a special one year subscription offer to this bi-monthly magazine for only $20 (regularly $27.95). If you are already a subscriber, they will extend your subscription at this rate by one year. Already a member? Come to our next meeting to receive your complimentary issue!